It’s time for Easter decoration. 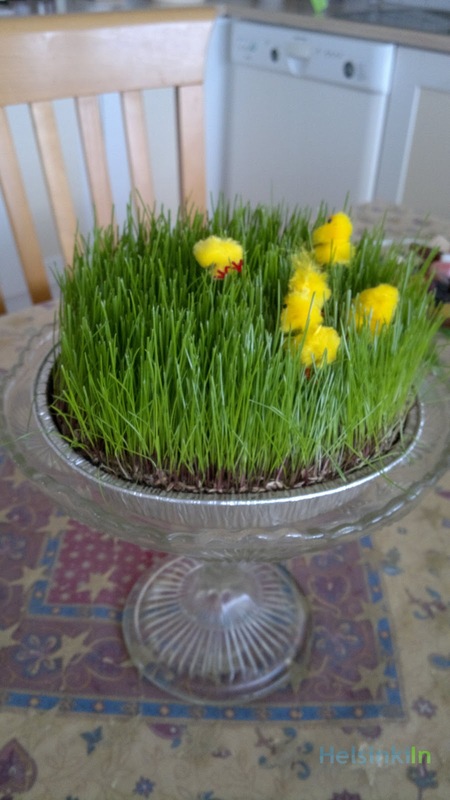 In Finnish houses you will find this grass on the tables and in the windows during the Easter time. It is common to have real grass at home and to decorate it with small yellow Easter chicks. To get your own Easter grass you can either buy a package of seeds (which might be a bit late by now) or you just get your ready-to-place grass from the stores. In round aluminum boxes you get take-away grass. Back home you can not just use it as decoration but it might also be a perfect place to hide the eggs.